Now with Autumn in full effect, it won’t be long until Winter gear will find its way out of the back of our closets, and more brands bring out their winter-ready renditions of some of our favorite silhouettes. 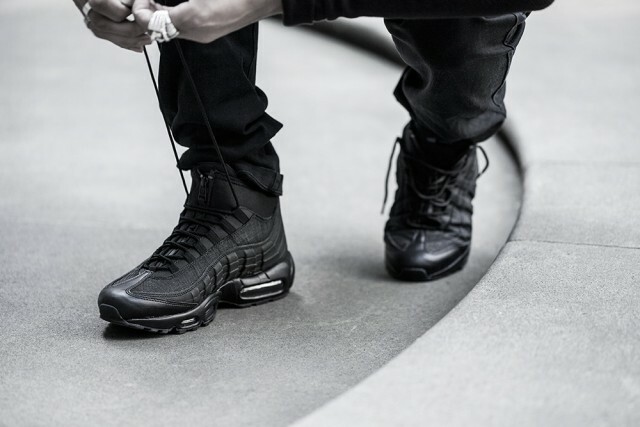 Nike now releases their latest Air Max 95 as an addition to their Fall/Winter 2015 lineup of sneakerboots. 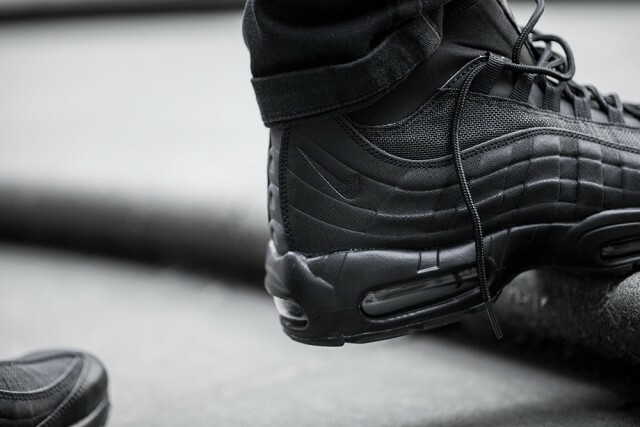 The Nike Air Max 95 Sneakerboot will debut in an all-black variation as superior black leather works with mesh underlays to make up the upper of the new pair. 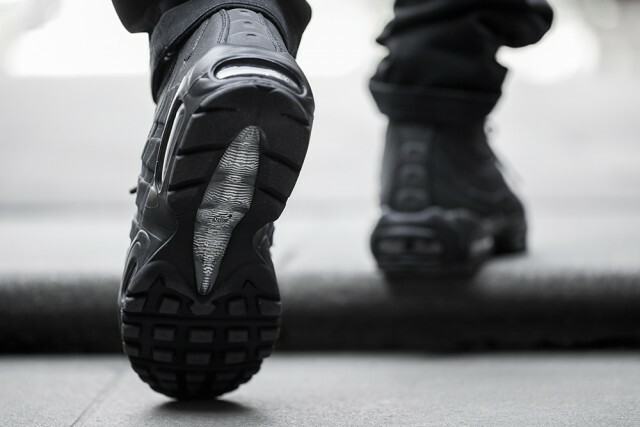 A weather appropriate extension comes in the form of the addition of a neoprene bootie and a zip-closure that conceals the tongue and signature branding of the shoe. 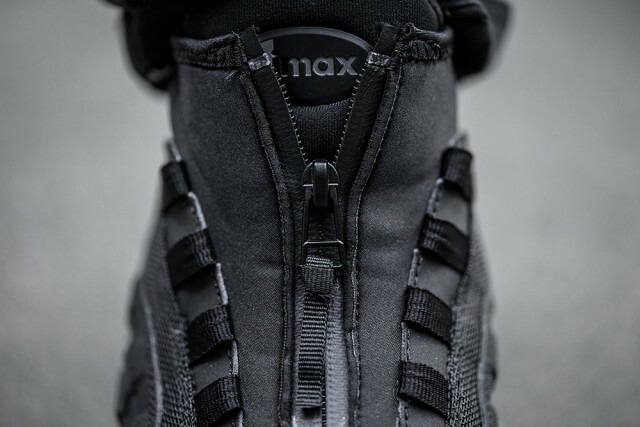 An entirely black Air Max sole unit rounds out the tonal aesthetic of the sneakerboot. 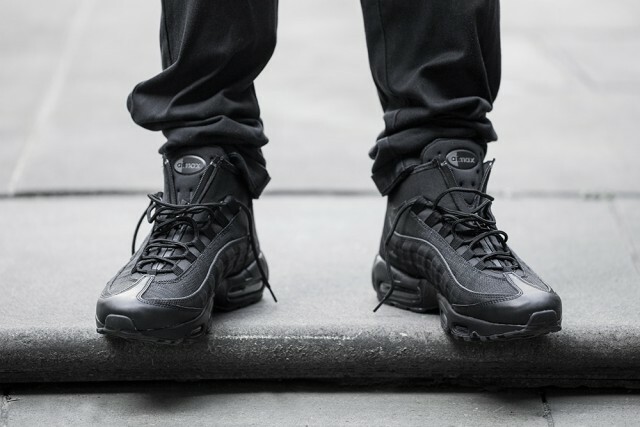 The Nike Air Max 95 Sneakerboot is now available for purchase at select Nike retailers for a price of about $197 USD.